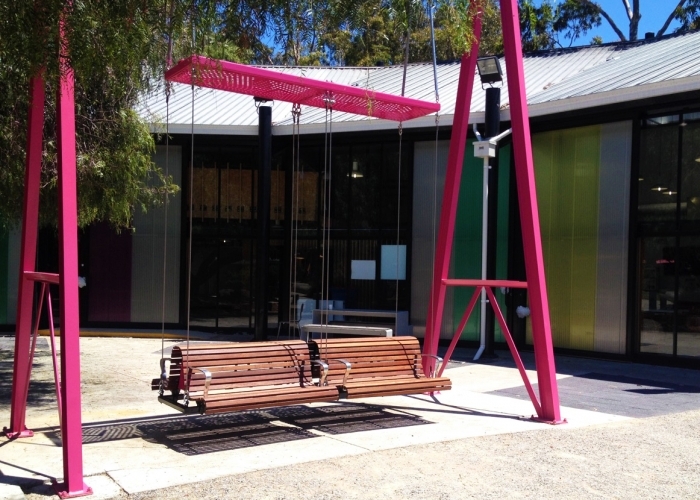 RMIT University’s Bundoora campus, 18 kilometres north-east of Melbourne’s CBD, has recently been furnished with ‘Bundoora Spine’. Part of RMIT’s $700 million dollar international renewal and capital works program, the Spine walkway features wetlands, extensive tree plantings, landscape features and public art, including the giant bronze Chimpanzee Finger by Lisa Roet. This new vision includes Building 204, just north of the Spine. RMIT’s Property Services senior manager, Nandor Bartol, was tasked with repositioning Building 204 as an integral part of the walkway. His first step was to commission 1:1 Architects to refurbish Building 204 into a new Student Services facility, with communal lounges, meeting rooms, offices, student union facilities and a home for RMIT’s Queer Department and Lounge. Landscape architect Tim Hart and the team at Urban Initiatives were brought onboard to ensure the re-enlivened building made the most of its sheltered courtyard, while connecting the facility with the Spine. “Our brief was to design a landscape that responded to the new function of the building and its environment,” says Tim. 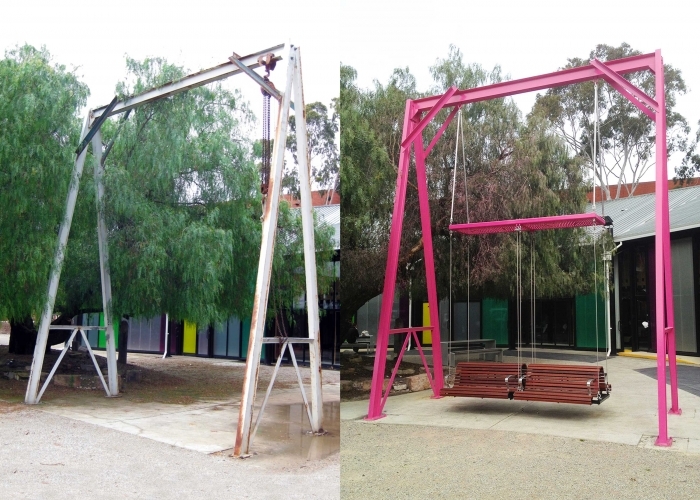 He envisaged a swinging ‘mega seat’ suspended from the gantry, but when he set to work he quickly figured it would be more efficient to work with an established furniture manufacturer. SFA’s team got straight to work on a custom design, employing off-the-shelf components for time and cost efficiencies, and working up construction drawings to help secure funding for this part of the project. 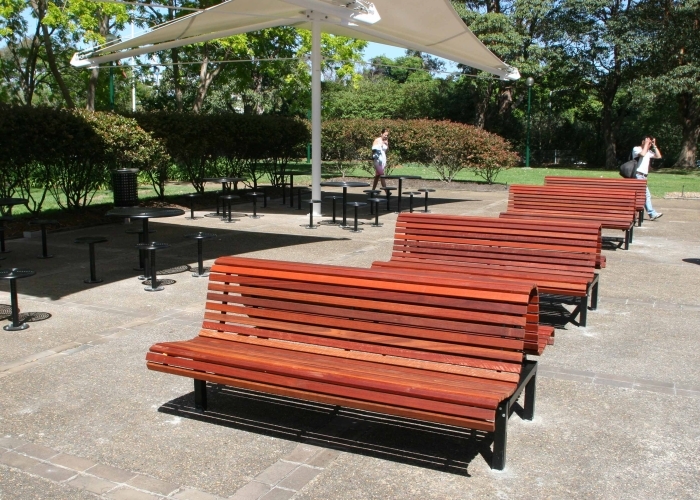 The result is two end-to-end SFA Classic Plaza Back to Back seats with eco-certified hardwood battens and powder-coated angle arms. 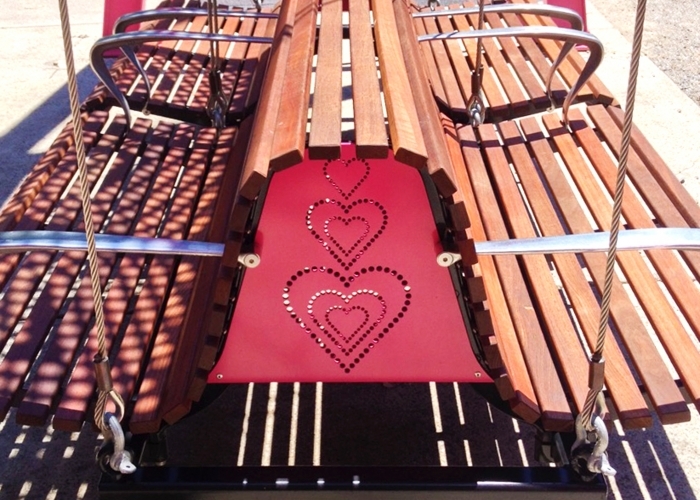 At each end of the seat, stainless-steel panels feature laser cut decorations – a trio of love hearts up one end; LGBT symbols up the other – lending the seat its namesake, ‘Love Seat’. 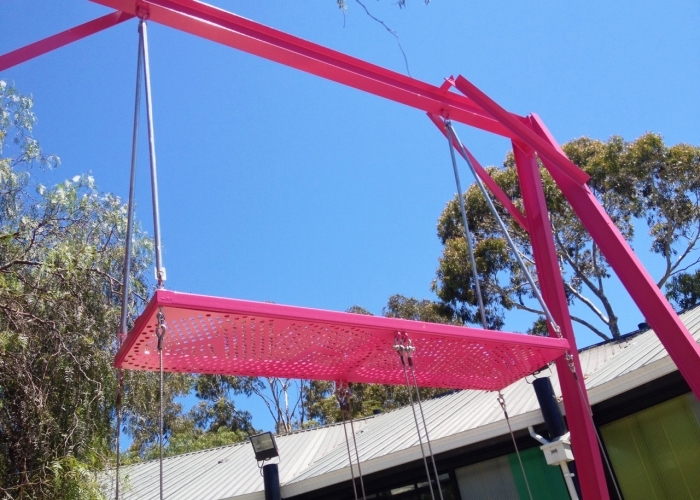 In keeping with the colourful panelled façade of the refurbished building, and celebrating the joy, playfulness and art of the piece, the gantry and stainless-steel features are powder-coated in glorious hot pink. “The colour was a shock at first for some people,” says Tim. But once the space came of age it became apparent that the seat was more than just a striking centrepiece of the courtyard. 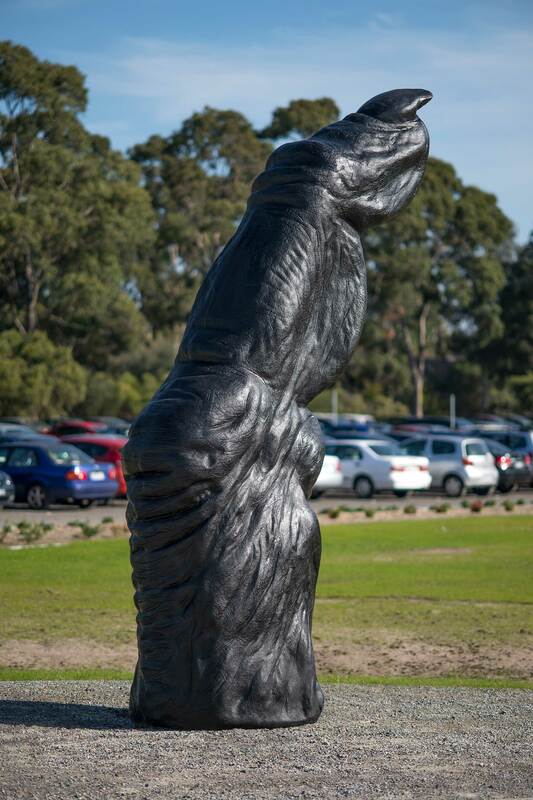 It was a creative contribution – along with the other public artworks – to Bundoora Spine. Using an existing old object and transforming it into something new and exciting. 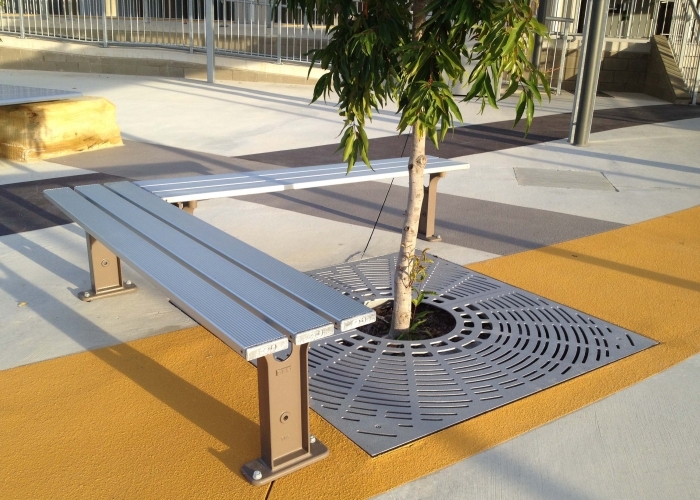 Street Furniture Australia delivered new furniture to the recently renovated BNIT Campus in Caboolture. 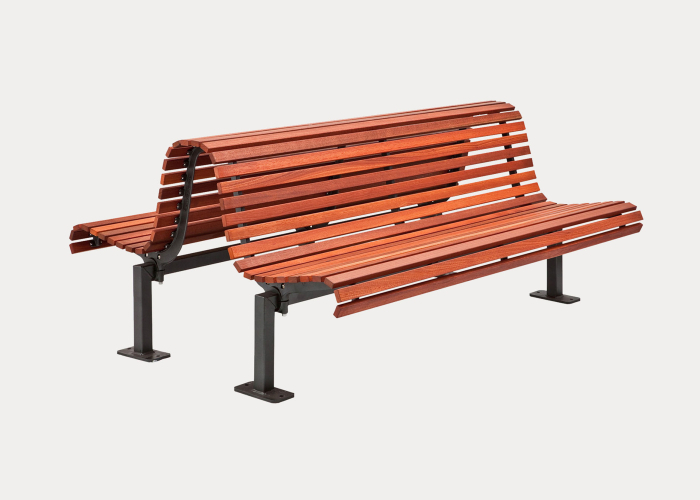 The project includes: – Park Slim Benches that have been placed around the trees and throughout the campus for students to enjoy. 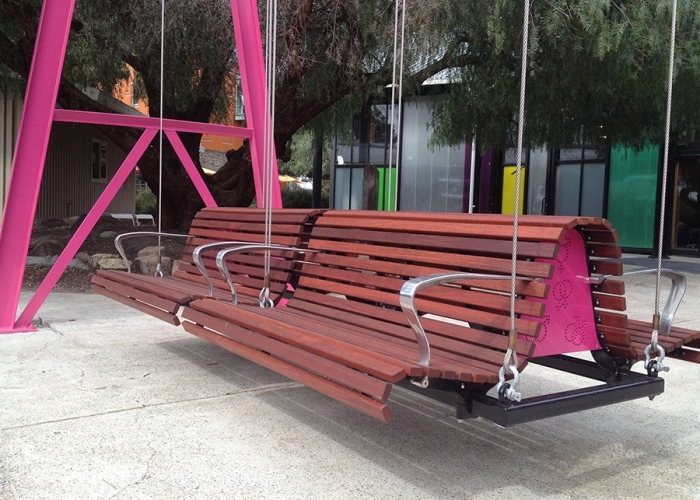 – Seat slugs have been installed on to each seat to stop skateboards. – Black Frame WBEs placed throughout the campus. – Black Wide Bollards that have been installed at the campus entrance to prevent unauthorised vehicles from parking on the grounds. 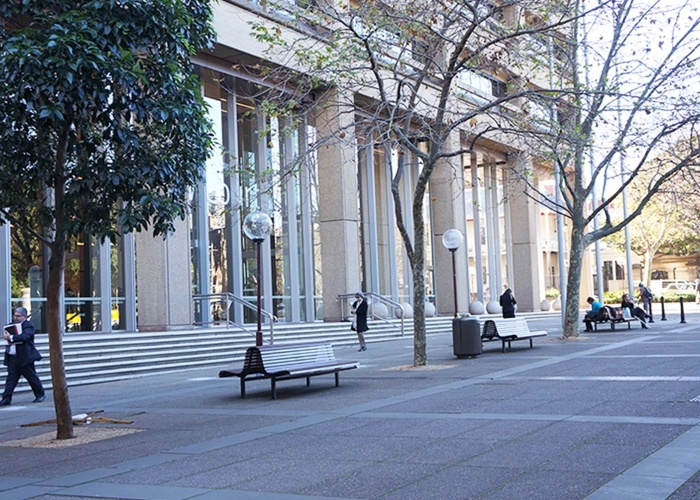 – Classic Square Tree Grates and Guards in black have been installed to protect growing trees. 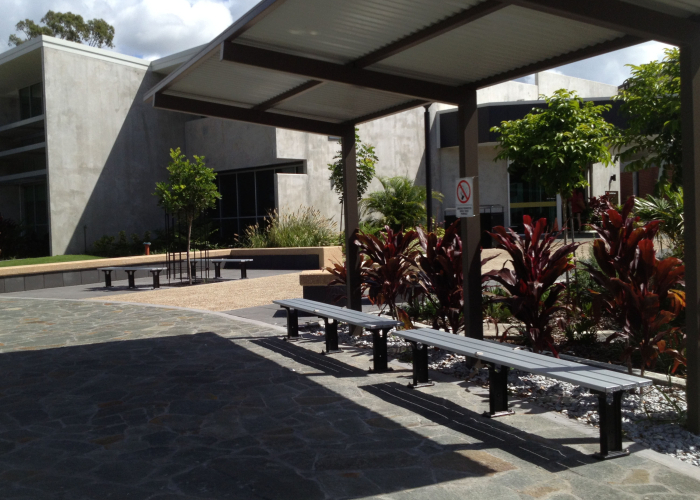 A new secondary school was needed to support the growing community of East Coomera, Queensland. As one of the first new schools to be built in 2013, the Pimpama State Secondary College brims with amenities which will meet the needs of students for years to come. 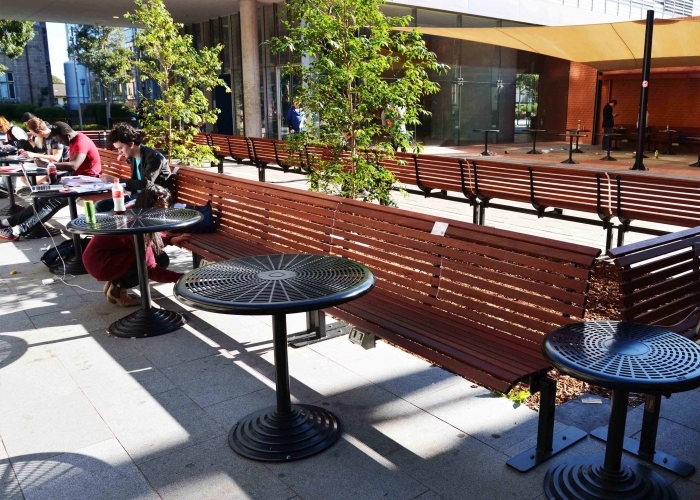 A selection of sturdy, easy-to-clean outdoor furniture from Street Furniture Australia, such as the Park Slim Bench, Classic Galleria Setting and Frame Bin Enclosure, were ideal choices to support the $25+ million project headed by Evans Harch of BADGE. 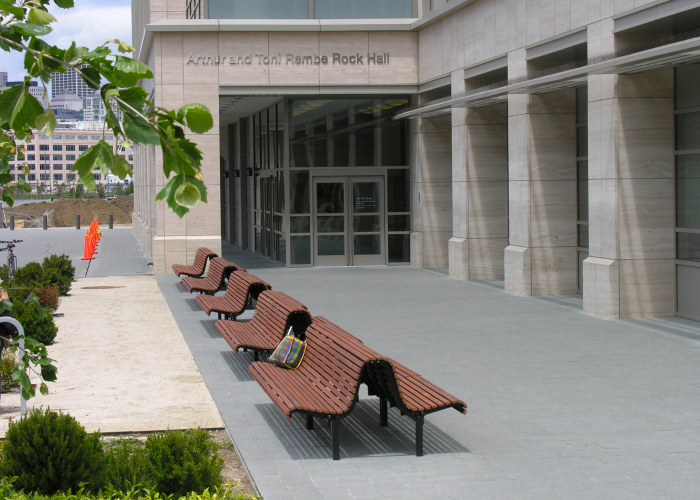 SFA also created custom one-off pieces, combining extra-wide battens to form a platform bench and plinth mounted on the site’s Australian sandstone as a feature in the landscape.